Open source web chat platform. From group messages and video calls all the way to help desk killer features. "Let's skyrocket internal communications in our organizations with Rocket.Chat "
Nothing is perfect in internal communications like Rocket.Chat. I have been using Rocket.Chat for almost two years and I like the way it has been good all the way till now. I like that Rocket.Chat has lots of features in one central place. It can be customized to satisfy lots of needs such as video conferencing and internal communications. Rocket.Chat has had no identifiable flaws for the duration that i have been utilizing it to communicate with peers. I would recommend it to everyone as long as they have internet-enabled devices like PCs, Tablets and Smartphones. Internal communications in our company is enhanced by Rocket.Chat. I use Rocket.Chat to share files and docs via private and company group. Online meetings is another benefit since we hardly incur transport or physical costs. "Let's undertake Video Conferencing with Rocket.Chat"
I have been using Rocket.Chat for almost 9 months now and I like how it makes it to chat with colleagues and friends. I like because it ia easy to install from play store and app store for Androind and Mac users. Finally, i like the fact that Rocket.Chat has all the features for internal communications in one place. Rocket.Chat is all good and perfect, but some folks hardly use it hence I find myself utilizing other video conferencing apps whenever in need. Yes, and encourage others to install Rocket.Chat on their devices. "Best chat tool for organizations "
User interface is very user friendly. I can use Rocket chat for direct communication as well as group chats. Also it is an open source product. I can connect with my colleges even when not in office. I can open it in web browser as well. We cannot drag and drop image in a chat room. Also sometimes it hangs. But I don't find anything else to dislike about it. I would recommend others to give it a try and they will love it. I can discuss about my projects and problems faced during the development phase as well as testing phase. "Free, but slightly buggy version of Slack"
It's free and has a desktop app as well as a mobile app. It's similar to Slack but for some reason, less intimidating. If you're fine w/ slightly buggy as long as it's free, it's an okay tool. I just try to make sure I keep my earphones in so that I can hear the notification sounds and use that to keep track of whether there are messages I need to pay attention to or not. "Rocket.Chat advances internal communications in our corporation"
Downloading and installing Rocket.Chat on any device auch as smartphone or PC takes less than three minutes-for sure this is one of the things that I like very much. Rocket.Chat has all the features for web conferencing and internal communications in one place. For that reason, Rocket.Chat is a complete application that doesn't force me to keep shifting as it covers solutions for all my needs. I also like how Rocket.Chat allows me to add as many accounts as i can. The only thing that seem to be hard is customizing Rocket.Chat, mainly when yoy are a new user. I use Rocket.Chat to communicate with my friends and co-workers. Rocket.Chat makes it easy to undertake Video Conferencing from anywhere there is internet connection. "It’s fine but I can function perfectly without it"
It’s a good way for all the employees to get messages like announcements or news. It seems like a good group chat app. It was kinda hard to get used to. And I get a lot of unnecessary messages because of the big number of people in the group, so I never feel like checking the messages and so I end up missing important stuff at times. I think it would be easier to just use Skype like before but I do understand that it’s easier for the boss to use Rocket.Chat because he can send the message only once to everyone at the same time. We use it for instructions and communication between the employees and the boss and managers. Personally I was doing fine without it. Due to a shared framework it is remarkably similar to its competitors but excels in customization, privacy, and (most importantly) reoccurring costs. New versions can come by the dozens, sometimes several days in a row. While the software is open-source it is far from a hobbyist application. Anyone using Slack should make the hop to Rocket.Chat without delay. Rocket.Chat has allowed for increased productivity and collaboration while escaping the ever changing Slack pricing model. "If you liked slack you'll "
Its just like slack, thats probably what I like best. Its easy to set up locally and easy to show people how to use. Easy to install and very intuitive to use. nothing is a great peace of software to use. For what it should do it does. Whenever an app does what its supposed to I like it. its easy to set up and easy to use. a very basic chat program that is very light weight. Great at sharing pictures and videos. Works across both android and apple devices. "A great app to use"
I like the design and user interface, its comfortable to use. I like that this app has a history of chat, so U can check it anytime. Sometimes some rockets with "+" appear on the left and at first I didn't understand why they appear. I was clicking and nothing happened, maybe some kind of bug. This software is comfortable, easy to use, I recmend it. Easy to use chat bot for work, and very very easy to customize. "RocketChat review - still pretty buggy"
Honestly, after using slack, I can't really think of anything I like about it. - It's trying to be Slack but not even close. You can only directly message one person - you cant message more than one person at a time. If you have a company larger than ~10 people it would be better to use something already working. If its for a group project and you only need to message one person at a time or as a full group then it could work. "Is Rocket.Chat the best product? No but it's easy to use, inexpensive and helps me get work done"
I can run Rocket.Chat on my own infrastructure, and don't need to worry about security not complying with my requirements. Because of the open source nature, Rocket.Chat has bugs which pop up from time to time. While these are usually quickly addressed, I am still limited by a slow release path. Try Rocket.Chat and you'll see how versatile it is. It's worth putting in the time to learn the system as well as taking the effort to implement it fully. Once you do, you'll see how rich a feature set is available, but how few you can use depending on your needs. In case you're worried about ease of use, any IT department can set it up and implement the features as you're able to use them. It's customizable, has interfaces via web, desktop and mobile and also includes real time translation. I found this feature particularly useful when working with others who were not native speakers. While we all spoke English, it's easier to communicate in our native tongues and we found the translations reliable. I didn't love Slack, and this works better. The chat is easy, the interface works well and it makes it easy to communicate on product development. Fast. Very fast. Easy to manage layout. Customizable site is fun. Easy to start a new channel. I like the sidebar menu with option to pin messages and attach a file. Communicating at a distance for remote work. Quickly communicating with teammates. So far, less expensive option that others we have tried. "Great Self Hosted Slack Alternative!" I think RocketChat is feature rich, stable, and under active development. The developers are constantly adding new features. It's compatible with Slack in Integrations AND you can import your Slack file into RocketChat so the transition is seamless. RocketChat supports Jitsi video conferencing, so channels can communicate visually with each other. It also has a great LiveChat offering that has allowed us to increase our website engagement a tremendous amount! I think there's no way to do a mass export like Slack and import it on a new instance. I occasionally have trouble updating to a later version, but the support from the community is good. Spin up a test Docker Image! If it meets your needs, then use the Ansible script to deploy and update your RocketChat install! We completely replaced Slack and use RocketChat instead. It saves us money (some of which we donate back to the project), and has easy administration. Channels - not many people are using them. "We enhance internal communications with Rocket.Chat"
Rocket.Chat is affordable, where all companies can integrate it in their systema anytime they feel like. Even if Rocket.Chat has video conferencing features, they are not strong like they are on other platforms like Slack. Yes if they do not want to spend a lot on online meetings. Sending animated Gifs is very fun for me. The live support features could be great for providing customer service. The Linux snap installation is convenient. Self-hosted server freezes. AWS EC2 T2 instance. I needed to increase the swap file size to 2GB to avoid this issue. Go for it. I keep finding features that pleasantly surprise me. Self-hosting is easy. Collaboration. More coworkers are starting to use instant messages to get more information and work more efficiently. The interface seems a little clunky still. I use Rocket.Chat to easily communicate with my clients and colleagues. "Rocket Chat is an excellent tool"
I like the ease of communication, the ability to direct chat and group chat, as well. The chats can be personalized, making it easier to identify parties. You can also have different rooms open for multiple chat purposes. I can't think of anything I don't like about Rocket Chat. It is easy to maneuver and I have not had issues. It helps when I need to get information quickly. Chat monitors are always available to find what I need to know and get it right to me, along with links. It's free to use, open source, licensed under MIT and the community is quite big and helpful. The documentation is not always 100% up-to-date. If you're stuck somewhere, don't hesitate to contact the support team! Trying to get rid of public cloud collaboration tools (Slack was used in our company before). Since the company values privacy very much, the requirement was to host it locally. It's fast, fun, and has a phone app. I love being able to stay in contact with all of my work chats, regardless of whether I am in the office or not. There isn't much I don't like about RocketChat. I've used some other chat platforms, and never really found them as satisfying. I really enjoy just about every feature. Do it. Now. It's a very satisfying product. I never looked back. Staying in touch in realtime. Group collaboration and discussion. Everyone on task and up to date. Not too much that I dislike about it everyone seems to like it thus far. We are working on scheduling programs and rocket.chat has allowed for us to all be i the loop. "Useful but not for me"
I liked the collaboration idea and usage of the app along with with the possible integrations. When I used this app, none of the notifications on the mobile app or the desktop version were working correctly and would not be useful without the notifications. We were trying to solve a way to integrate research participants into an ongoing chat they could access at any time and where clients could post questions and participants would receive a notification that a new question was posted. I like that there is a desktop version as well as mobile to use on the go! There really isn't anything I can think of that I don't like. Robo Chat is easy to use, upload files, share and “clone” documents, import templates and even create an app to access the information. Moving files from one database to another poses a problem sometimes as it changes the format of the documents. Make sure to thoroughly go through each part of the software in order to show how to use it. Communication and sharing of documents, spreadsheets and other pertinent documents and making them accessible to all. I like the emoji section best. It makes work correspondence more personable. I dislike not being able to see the message in the preview on my phone. Don't use the mobile app. Easy setup, deploy and update for your internal corporate network. Updates are frequent and is slowly catching up to Slack. Memory leak issue. It will randomly hang if you leave it on for too long. Unread messages can be a bit buggy and messages will show under the wrong contact name if the internet connection is unstable. Facilitating communication amongst staff. Notable benefits include more communication between staff that normally would not overlap. Also eases organizing of company wide events by providing a single channel to provide updates. The system is incredibly laggy and super glitchy. Because of that, I avoid using it because sometimes it freezes my computer up. "Great Tool for Instant Communication"
It is quick and has very few problems. I don't get notifications for things that are not relevant to me. Sometimes I don't get notifications for things that ARE relevant to me. However, this is rare. It has helped speed up communications internally. Little overwhelming sometimes. I think the more you use the easier it gets, but the learning curve is big for someone with basic computer skills. Sales ,service and engineering can all communicate instantly . "Rocket Chat for business "
Easy to use and communicate with others. Nothing I can think of. It is a great product. Allows you to chat and share ideas, files etc. Great for collaboration. "Works as it is intended"
It is a little bland. No way to view total list of people logged in. Conversation notifications are buggy and hard to clear. 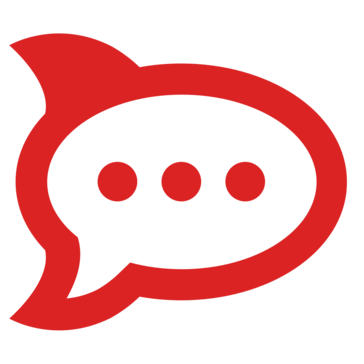 RocketChat provides fast and secure team communication allowing us to quickly spread ideas. "Just like any other platform." Setup of the client was easy, very future proof. Even though it’s new I feel like I’ve used it before. We were looking to switch clients. It provides a great platform and user friendly. The site at times lags, but nothing major. They advertise as FREE all over the place. It's NOT FREE. * We monitor all Rocket.Chat reviews to prevent fraudulent reviews and keep review quality high. We do not post reviews by company employees or direct competitors. Validated reviews require the user to submit a screenshot of the product containing their user ID, in order to verify a user is an actual user of the product. Hi there! Are you looking to implement a solution like Rocket.Chat?